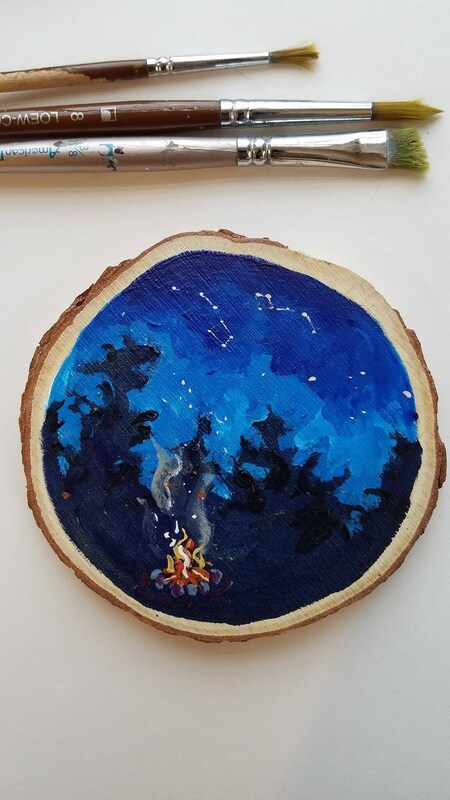 Campfire, Wander, Adventure, Constellations, Valentine's Day, Recycled woodblock slice, Hand Painted original. Say "I love you" with something special this year - give the gift of art! Small hand painted painting on a recycled wood slice measuring about 4"x4" coated with protective varnish finish.